Concise, readily-applicable, research-based information on the importance of a comprehensive fire personnel wellness program, educational resources and sample documents. The Fire Department Guide to NFPA 1582 was deployed in 2013 by the IAFC Safety, Health & Survival (SHS) Section to provide a tool to departments to better understand and use NFPA 1582: Standard on Comprehensive Occupational Medical Program for Fire Departments. In 2015, the SHS Section, with support from the IAFC, took on the challenge to better understand the status of firefighter-specific medicals in the U.S. and to find a way to get every firefighter an annual medical. 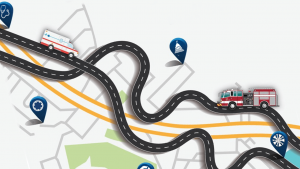 The Emergency Services Road Map to Health & Wellness, released in Dec. 2017, is the result of that process. Access this resource on the Firefighter Safety Through Advanced Research website.